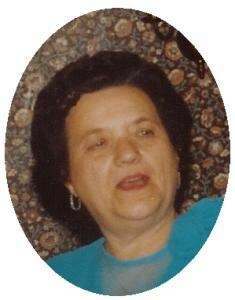 B ernice T. Hauswirth, 85 formerly of Martin Avenue, Port Washington died Tuesday, May 1, 2007 at Heritage Nursing And Rehabilitation Center, Port Washington. She was born October 1, 1921 in Port Washington, Wisconsin to Frank and Clara Kramer Erlwig. She met John D. Hauswirth of Milwaukee and they were married November 10, 1957 at St. Mary’s Catholic Church in Port Washington. He preceded her in death May 5, 1994. Bernice worked throughout her life. From the family farm to Simplicity in Port Washington. She loved animals, especially her dogs. She enjoyed bingo, crocheting and cards. An excellent cook and baker she made many German Kuchens and incomplete cakes. She is survived by her daughters Jeanne (Stephan) Venturini and Mary (Bob Glass) Hauswirth of Port Washington and grandaughter Katheren “Katie”. Further survived by dear friend Rose Haas Leider, neices, nephews, other relatives and friends. Preceded by her husband, John, Norman Erlwig and sister Henrietta Philipps. The Rev. James Ernster will officiate funeral services 7 pm Friday, May 4, at the funeral home. Cremation with final interment at Wood National Cemetery in Milwaukee. Visitation from 4 – 7 pm Friday.